Now, this is an obscure one. Hands up, those of you who have read Frank King's Terror at Staups House....not too many of you, I suspect, well-read though readers of this blog definitely are! It's another book, signed by the author (and dated 1927, the year of publication), which I acquired from the collection of the late Bob Adey, and it's a locked room mystery. I bought it less than a fortnight ago, and it was my major purchase at a book fair in York. I managed to limit myself to buying four books, mainly because quite a few others that I fancied were a long way out of reach financially. This book, in excellent condition but lacking a dustwrapper, was at least affordable. I say 'lacking a dustwrapper', but it was pointed out to me that the book is very unusual, in that the publishers, Bles, were experimenting at that time with the concept of having front endpapers which reproduced the cover. It's an experiment they didn't persist with, perhaps due to cost, but from a book collecting perspective, it's a very interesting feature. (And it's rather different from the more common, and less pleasing, sight of a dustjacket that has carefully been cut up and pasted over the endpapers; I have a few of those; they can look nice, but the element of vandalism is unappealing.) I'd be glad to hear from anyone who knows more about the Bles experiment, or anything similar. So is the book itself any good? Well, to begin with, I feared the worst. The victim is one of those loathsome old misers who were so often properly dispatched in Golden Age fiction. There's talk of voodoo, Tula knives, the Aztecs, a curse, and vengeful foreigners, and there's a manservant who speaks in excruciating dialect. But although it's a melodramatic story, it's much better than many of its kind. King wrote with pace and some verve, and although the cast of suspects is small, he keeps one guessing pretty well. And pleasingly, the manservant abandons the dialect after being unmasked as a career criminal. (Obligingly, he continues to serve meals to the other suspects after the death of his unmourned master; talk about the lower orders knowing their place.!) Tolstoy it ain't, but it's good fun. The Case is Altered, written by William Plomer and first published in 1932, certainly qualifies as a Forgotten Book, but at the time of its original appearance, it was much admired. Plomer, in his late twenties,had moved from South Africa to London, and this was his third novel. His debut, Turbot Wolfe, was a popular story about inter-racial relationships, and he had become friendly with Leonard and Virginia Woolf, who published and promoted this novel with great enthusiasm. It's a story about a murder, and was closely based on a real life crime. What is unique about it is that the crime in question occurred, in 1929, in the house in Bayswater where Plomer was living. James Achew murdered his partner, Sybil da Costa, in front of their small child. Achew was insanely jealous (and was ultimately reprieved from execution). He dreaded the thought that Sybil might be seduced by any man - including Plomer who (most authorities seem to agree) was gay. In the book, Achew (who is given the name James Starr) is represented by Paul Fernandez, whose attractive partner runs a boarding house; the lodgers include a young man called Alston who is, in part, based on Plomer. Yet although this novel concerns a murder, it is first and foremost a study of the changing nature of London life and society, with particular emphasis on changes in the class system and political thinking. I found all this historically fascinating, and even though much of the political stuff is naive (contributing to a surprisingly weak ending) Plomer's liberal attitudes towards racial tensions are noteworthy. He portrays the relationships between occupants of the house in Cambodia Crescent, and people close to them, with a good deal of subtlety, and the gay and lesbian subtexts are also interesting. In many ways, this book reminded me of the work of Patrick Hamilton - notably Hangover Square. It's not a "mystery", and it's clear that Plomer struggled with the notion of plot, but it's really well written and still highly readable. Oddly, Plomer never developed as a novelist, but he wrote libretti for Benjamin Britten and had a perhaps surprisingly warm relationship with a very different writer for whom he became editor, Ian Fleming. Fleming even dedicated Goldfinger to him. Quite something to have on your CV. The Two Faces of January is a novel by Patricia Highsmith that offers one of her most successful presentations of a relationship between two troubled men. I talked about the book a couple of years ago, and wondered at that time if the newly made film would be as enjoyable. The short answer is yes. Hossein Amini, making his debut as a director, had to decide whether to update the story or set it in, more or less,the time when it was written. He chose the latter course, and I think this was wise. Modernising the story would have entailed major changes, a high risk tactic. Although, inevitably, the story doesn't precisely mirror the book, it is relatively faithful to it. The settings in Greece and Turkey lend themselves to evocative camera work, and Viggo Mortensen, a fine actor, is very well cast as Chester. I'm a Mortensen fan, but much less familiar with Kirsten Dunst, who plays his youngish wife Colette, and Oscar Isaac, who is Rydal, the young chancer who cottons on to them. Dunst's character struck me as more intelligent than the Colette of the novel, a change that did the story no harm. Isaac is very good from start to finish. The later stages of the film struck me as more heavily plotted than the equivalent scenes in the novel. Again, this made sense: much as I admire Highsmith, I don't think that plotting was her greatest strength, and sometimes the later parts of her novels don't work as well as the earlier chapters.One thing that can safely be said is that there is a special quality of vividness about her writing which means that it can translate to film very powerfully. This is yet another of the films of her books which make excellent viewing. I've just received my author copy of Murder at the Manor, another anthology that I've compiled for the British Library. It will be available in early February. Compiling this book has given me the opportunity to bring together another selection of vintage mysteries. I've adopted the same general approach as for Resorting to Murder, Capital Crimes, and Silent Nights. The theme this time is the country house mystery. There are a few (relatively) familiar authors and stories, and a number of less obvious choices, including a little known, but in my view excellent story by Anthony Berkeley. Over the Christmas break, The Times published a detailed article about the British Library series, after interviewing John Bude's daughter and me, and listed the top ten bestsellers in the series. Even then, a few weeks after its publication, Silent Nights had reached number seven in the list, and the other two anthologies have also sold many more copies than any of the other twenty-odd story collections I've edited. We're very encouraged by this, and several more anthologies are in the works. The success of the British Library series is being emulated, and sometimes quoted in the publicity material of, other publishers who are, understandably, keen to take part in the current revival of interest in Golden Age fiction. I'm sure there are many people like me who feel that having so many of these old, and previously hard-to-find, books available again at affordable prices, is very good news. A particular shout-out for Harper Collins, who - even before the BL series took off - have been doing great work in terms of bringing back books like The Floating Admiral and Ask a Policeman. They have more recently been reprinting Francis Durbridge's Paul Temple books, and have launched the very attractively presented Detective Story Club reprints. I hope to cover one of their titles, The Mystery at Stowe by Vernon Loder, before long. Loder is a writer I've heard good things about for years, not least from my friend Nigel Moss, who has written the introduction. Yet I've never come across one of Loder's books, so I was delighted to read it; the book will be on the shelves in the shops in March. Another book in the series, Freeman Wills Crofts' The Ponson Case, with an intro by crime novelist Dolores Gordon-Smith, will also feature here before too long. Among the estimable smaller presses active in this field are Dean Street Press, whom I've mentioned several times before on this blog. In the coming months, I'll be talking about quite a few of their titles in more detail, The authors they are publishing include Ianthe Jerrold and E.R. Punshon, and I've just received a copy of a book by the highly obscure Robin Forsythe. It's called "Missing or Murdered". Today I'm featuring another Forgotten Book that came to me from Bob Adey's amazing collection. It's an inscribed copy of Twice Round the Clock, which was published in 1935 by Billie Houston. A striking feature of the front cover of the dust jacket is that it bears not one but two photographs of the author. 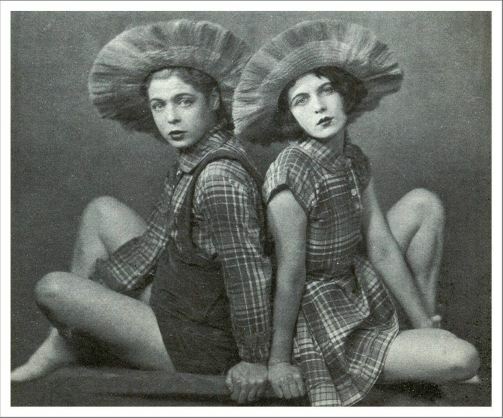 I must admit I'd never heard of her, but I discovered that Billie was a celebrity in her day, a member of a highly popular music hall act called the Houston Sisters. A bit of research on the internet revealed a performance of theirs on Youtube and this interesting article, which includes the above photo. This wasn't a ghost-written novel, but one that Billie apparently scribbled away in dressing rooms up and down the country while touring with her sister Renee. She had a long-standing love of the crime story, it seems. And whilst the prose isn't Dickensian, it's not only competent, but rather more engaging than some of the dry stuff that was published at around the same time. This is a readable story, an engaging debut. It gains something from a storyline that emphasises the rapid passage of time (hinted at by the title.) In a prologue, a body is discovered in a country house, but we then have a long flashback scene in which the tension mounts as it becomes evident that numerous people have good cause to commit a murder. The structure is slightly similar to that of a later book that I much admire, Henry Wade's Lonely Magdalen. The villain of the piece is one of crime fiction's most repellent victims, it has to be said. This is a lively and unpretentious thriller which I enjoyed reading. It isn't a masterpiece,but it's a good enough first effort to have justified a follow-up. Unfortunately, three years after publication, Houston's husband committed suicide. She gave up life as part of the Houston Sisters - though Renee became quite a well-known actress - and remarried, settling, it would seem, for quiet domesticity. Her obituary in The Times makes no mention of her crime novel, but it's a shame that it's been so completely forgotten. I see that, at the Edgar Awards ceremony which is to be held in New York City, that fine writer Walter Mosley is to be acclaimed as a Grand Master. This reminds me that, way back in 1992, when my first novel, All the Lonely People, was one of seven initially shortlisted for the CWA John Creasey Memorial Dagger for best debut crime novel of the year, the award was won (and deservedly so) by Walter for that terrific book, later filmed, Devil in a Blue Dress. S.J. Watson's bestselling debut novel Before I Go to Sleep must have been a challenging book to adapt for film. Rowan Joffe took on the job a couple of years ago, and I think he made a good job of it, rather better than one or two reviews I've read suggest. And the key to the success of the film, for me, was the small but superlative cast. It was also very sensible (as it usually is) to keep the running time short - slightly over an hour and a half. Nicole Kidman is Christine, the woman who keeps waking up to the nightmarish reality that she can't remember anything about her life. Each day, she has to be reminded by Colin Firth that he is Ben, her husband, and that some years back, she suffered a terrible accident which caused her to lose her memory. But it soon emerges that it was no accident. She was attacked by someone in a hotel. She receives daily calls from a doctor, played by Mark Strong, who says he is trying to help her to recover her memory. But it soon becomes clear that he is attracted to her. What exactly are his motives? Can she trust Ben? And what part in her life was played by a friend called Claire (Anne-Marie Duff)?. I've seen Nicole Kidman excel in a number of different roles; here, she is quite outstanding. Firth and Strong both have a powerful presence on the screen, and the combination works very well. Even though I'd read the book, I found myself gripped from start to finish. Definitely worth watching.. The new year has seen a flurry of new detective series, including the return of a number of old favourites. These include Endeavour, which is written by the excellent Russell Lewis. At the end of the last series, I did wonder how the cliffhanger situation would be resolved. The short answer is that it wasn't addressed very fully at all: Morse spent a bit of time in prison before being freed once the truth was revealed, and then found himself lured back into police work. Not totally satisfactory, but I must say that in other respects the first two stories in the new series have been well-plotted. The error was that end-of-series cliffhanger, which was simply over the top. Endeavour is a two-hour show in the finest Inspector Morse tradition. Shetland, which returned on Friday, is split into a sequence of two-part one-hour episodes. The new story was, I felt, the strongest so far of those not based on the original novels by Ann Cleeves. A great location can do wonders for a TV show,but it's not everything - above all, you need a good story, and this tale of a young man who meets a grisly fate after travelling to Shetland by sea got the series off to an excellent start. I'd not seen the first series of The Young Montalbano, but I caught the first episode of the new series. The setting in Sicily is again very attractive, and a lot sunnier than Shetland, while the story was pleasingly convoluted. However, I felt that the tone of the episode was rather uneven, a mix of jokey and serious that jarred a little. There's not much doubt about the tone of Death in Paradise, which has returned with more stories which combine Golden Age style plot devices with an exotic tropical setting. It's very light, undemanding entertainment. I've stayed with Dickensian, which is a sort of soap opera bringing together lots of characters from Dickens, and held together by an ongoing murder investigation (that of Jacob Marley) conducted by Inspector Bucket. The cast is superb, but the story (20 episodes of 30 minutes each) is starting to drag, while the jaunty background music is an example of too much of a good thing. With this one, I think less would have been more. But what a fine actor Anton Lesser is. He plays Endeavour Morse's prissy boss and, in Dickensian, Fagin, with equal conviction. And then, away from cop dramas, there's War and Peace. I've never read Leo Tolstoy, and I don't watch many historical dramas, but I do admire Andrew Davies' storytelling skills, and I must say that I am really enjoying this series. Some people tell me that it's dumbed-down, but if that's true, it's dumbed-down very well indeed. Bob Adey was a huge fan of John Dickson Carr, and I'm delighted to have acquired a couple of his Carr books with inscriptions. One of these, She Died a Lady, was published under the name Carter Dickson in 1943; the copy is a slim war-time edition, which Carr has inscribed to a woman friend with the comment "more dirty work". This is a Sir Henry Merrivale story, and it's a very good one. I was delighted with the way Carr pulled the wool over my eyes. With his impossible crime stories, I seldom work out the ingenious m.o. of the killer, which is often too technical for my impractical brain to grasp, but I tend to have better luck in figuring out whodunit. This time, I came up with a nice solution which proved to be hopelessly wrong. And as fellow detective fans know, there are few more satisfying reading experiences than being cleverly fooled by a cunning plot twist or two. And there several good twists in this story. Other than an epilogue, this story is narrated by a village doctor. Sound familiar ? If not, Carr drops a hint by including a character with the same name as someone in Agatha Christie's The Murder of Roger Ackroyd. But is this a clue or a red herring? Suffice to say that I thought Carr pulled off a neat narrative trick here, and although it's one of which Christie would have been proud, it is original as far as I know. What we have here is a story of a married woman who falls for a young actor. Is her elderly husband blind to what is going on? When the lovers disappear, and seem to have taken part in a suicide pact, the husband is the obvious suspect. But Carr didn't deal in obvious solutions. I felt that he chose an unwisely small pool of potential murderers, but he outsmarted me. I enjoyed this one a lot, and I bet Bob did too. Forgotten Book - What Beckoning Ghost? What Beckoning Ghost? is a 1947 novel by Douglas G. Browne which features his regular detective character Harvey Tuke. Tuke, a senior official in the Department of Public Prosecutions, is invited along with his wife to a dinner party hosted by a couple called the Reaveleys. The host and hostess are connected with strange stories about the sighting of a ghost in Hyde Park, and shortly before the dinner party takes place, a homeless man who has seen the phantom is found dead in the Serpentine. The dinner party is a tortured affair, with palpable tensions between several of the guests. Although Tuke learns more about the supposed ghost, the evening ends chaotically when Mrs Reaveley flounces out of her own party. Not long after that, she too is found dead - once again, drowned in the Serpentine. Has she committed suicide or been murdered? And what does the ghost of Hyde Park have to do with it? This novel, rich in London atmosphere, is unusually structured, with several lengthy set-pieces - the dinner party, the inquest on the dead woman, and an underground chase. There are several nice touches, although one particular red herring is never explained, which I found irritating (or did I just miss the explanation? You never know....). Overall, though, this was a book that I really enjoyed. Browne was a capable writer with a strong interest in true crime. He co-wrote the biography of the famous pathologist Sir Bernard Spilsbury, and part of the murder plot in this book is drawn from a real life precedent. This is a novel which was much debated by Detection Club members when they were deciding whether or not Browne should be elected to membership. The full story is told in the CADS Supplement Was Corinne's Murder Clued?, by Curtis Evans. Browne was indeed elected to membership. and I'd say deservedly so. My copy of this book, which has a nice map on the endpapers of the London setting, belonged to Browne himself, and it includes a few tantalising margin notes made by him. The British Library's own copy of the book also has the map. But otherwise identical apparent first editions owned by two leading collectors who are friends of mine do not have the map. It's a bibliographic mystery, to which we don't have the solution. 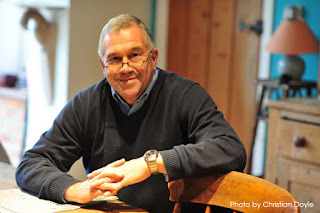 At all events, Browne was a writer who interests me, and I'll be writing again about him in the future. .
Labels: Douglas G. Browne, Harvey Tuke, Was Corinne's Murder Cluied?, What Beckoning Ghost? Last summer, I was invited to speak at a conference at Liverpool University which focused on the work of the American crime writer, James Ellroy. One of the reasons I accepted was that, in my early days as a crime novelist, I found myself reading Ellroy's novels, and thinking about his approach to story-telling. Not because I wanted to emulate his style, but because I believe it's helpful for a writer to absorb a whole range of influences rather than just a few. He is a controversial character, and some of his novels seem to me to be much better than others, but he and his work are thought-provoking, no question about that. The conference was organised by Steven Powell, a researcher at Liverpool University, who has now written a book about Ellroy, sub-titled Demon Dog of Crime Fiction, and published by Palgrave Macmillan in their Crime Files series. Steven has previously been responsible for a wide-ranging collection of essays in the same series, 100 American Crime Writers, which I found readable and enjoyable, as well as Conversations with James Ellroy, which I have yet to read. He makes the valid point that critics have often struggled to distinguish between Ellroy's work and his persona, and notes that Ellroy has managed to establish himself as "a character within the history of the genre". A pretty major character, it's fair to say. And I rather like the quote from Ellroy that ends the book: "I'm just James Ellroy, the self-promoting Demon Dog...You call it swagger. I call it joie de vivre.". Steven Powell's ability to recognise that joie de vivre is one of the key strengths of this book. The book began life as a thesis, and this is a sign of the times. Not so long ago, few academics were interested in writing about crime fiction. Now there is a flood of academic texts about the genre. Some are excellent, but some of them are not exactly riveting, to put it mildly. One or two authors seem to prefer pedantry to conveying a love of the books, never mind a sense of joie de vivre. One of the things I like about Steven Powell's work is that he doesn't fall into this trap. He writes in a readable way, wears his learning lightly, and puts his discussions with Ellroy to good use. The result is scholarly, but not dull, and for me, the absence of page after page of footnotes was a definite plus (there is an extensive bibliography, which is useful.) I'm not an expert on theses, but the book doesn't seem to me to read like one, and that is a Good Thing. If you are interested in studying Ellroy, this thoughtful if not inexpensive book will prove a valuable and important resource..
Keeping Rosy is a 2014 film directed and co-written by Steve Reeves which tells a story of an accidental killing, and the unforeseen and dramatic consequences of an attempt to cover it up. It is, in its essentials, a story not dissimilar to the psychological studies of murder dating back to the Twenties and Thirties - I'm thinking of books like Payment Deferred, the bleak and powerful short early novel by C.S. Forester. Keeping Rosy is, like Forester's book, short, snappy,and doom-laden. It is, again like Forester's, set in London - not in a depressing part of the suburbs, but in a (some might say, equally depressing) posh new high-rise apartment block. Maxine Peake lives a rather lonely life there. She's a driven career woman, who is evidently jealous of a colleague who brings a new baby into work. Things go from bad to worse when a promotion she thought was in the bag proves not to be forthcoming. She walks out on the job, threatening to claim constructive dismissal (often a rash move, as most employment lawyers will tell you) and erupts when she finds that her cleaning lady is smoking while she works. From there, things turn rather nasty, and there's a fascinating plot twist quite early on which explains the film's enigmatic title, and which lifts it out of the ordinary run of thrillers of this kind. Peake is a powerful and versatile actor whose portrayal of a woman on the verge of disintegration is very watchable. It is weakened, however, by the fact that she presents her character as so repellent. Although we see increasing touches of humanity in her as the story progresses, I think the film would have been more compelling if some of those touches had been evident early on. But overall, this is a well-made film which makes good use of its location, and doesn't outstay its welcome. Definitely worth a watch. Time for another Forgotten Book from the magnificent (and massive) collection gathered together by the late Bob Adey. This time it's the first detective novel to appear under the name of Leo Bruce. Case for Three Detectives was published in 1936, and introduced a very appealing detective, Sergeant Beef, who proceeded to enjoy a career extending well into the Fifties. My copy was once owned by Dennis Wheatley, the then famous thriller writer, who evidently had a formidable library, and it bears his bookplate, as well as a personal inscription from Bruce to Wheatley. The connections with Bob, Bruce, and Wheatley make this a favourite in my own collection. Now to the story -is it any good? Yes, most definitely yes! It's a story with strong elements of parody, but it stands up very well to the test of time. I've written at some length, for CADS, about a slightly similar parodic novel, Gory Knight, by Margaret Rivers Larminie and Jane Langslow, but much as I enjoyed that book, Bruce's novel is clearly superior. It's a locked room mystery, and the puzzle is a good one. So good that, although Beef is sent to investigate, his detective role is rather usurped by thinly disguised versions of Wimsey, Poirot, and Father Brown. The comedy is very nicely done, and the plot zig-zags around very pleasingly. I enjoyed it enormously. Leo Bruce, by the way, was a pseudonym for Rupert Croft-Crooke, a prolific writer who had an extremely interesting and colourful life. I look forward to writing about him again in future. The Hypnotist is a 1957 British film, which in the US was given the title Scotland Yard Dragnet. I don't think The Hypnotist is an ideal title, but the American alternative is terrible. Thankfully, the film itself is pretty good. It doesn't seem excessively stagey, even though it was based on a play by Falkland Cary, who apparently was an obstetrician before he turned to delivering work for the theatre. Paul Carpenter plays Valentine Neal, who is involved in a flying accident and suffers an inexplicable psychological trauma as a result. His fiancee, Patricia Roc (who was a very celebrated actress in her day) finds the medics stumped by his condition, so she seeks help from a family friend, Dr Pelham (Roland Culver) who is an expert on getting to the root of psychological problems. The murder mystery that develops from there is straightfoward in some respects,but I felt that the director, Montgomery Tully, made pretty good use of the material. Admittedly, an interlude in which our hero loses his memory and gets involved with a pretty girl he meets in a jazz club seemed more like a commercial for Chris Barber's Jazz Band than something that contributed to the plot, but the story held my attention better than many with a much bigger budget. In researching the film, I found that Carpenter, sadly, died quite young and in rather tragic circumstances. On this evidence, he wasn't a top-notch actor, but I see that he took a lead role in a film of Julian Symons' The Narrowing Circle - a book that I didn't know had been filmed. Sadly, no DVD appears to be available. I assume it sank without trace, but if anyone knows anything about it, do please let me know. One actor I did recognise was William Hartnell, who played the Scotland Yard cop in his customary grumpy manner. A few years later, of course, he would achieve a kind of immortality by becoming the very first Doctor Who. Simon Brett was awarded the OBE in the New Year's Honours for services to literature, the latest honour in a career that has been as busy as it has been distinguished. Only last year, he received the highest award in British crime writing, the CWA Diamond Dagger, recognising a career of sustained achievement. Simon was educated at Dulwich College (as were such other writers as A.E.W. Mason, P.G. Wodehouse, and, improbably, Raymond Chandler) and Oxford, and after that he enjoyed success as a radio producer with the BBC and also as a writer for radio. His series After Henry transferred successfully to television. At its peak, the show attracted over 14 million viewers, a figure that would be beyond the dreams of TV writers today. His first detective novel, the splendidly titled Cast in Order of Disappearance, was published as long ago as 1975 (he was very young when he wrote it!) and introduced Charles Paris, the actor and amateur sleuth who is perhaps his best loved character. He's now been responsible for no fewer than four distinct crime series. I'm also a fan of his stand-along novels, such as A Shock to the System, which was filmed with Michael Caine in the lead role, and Dead Romantic. Simon is a witty and popular speaker. I first heard him speak at a writers' circle seminar in Southport in the late 80s, before I'd published a word of crime fiction, and I was too bashful to introduce myself. Little did I imagine that one day - it was last June - he and I would be chatting together on stage at the British Library, where he gave a terrific reading of "Agatha Christie's will", He's been an excellent President of the Detection Club for the past fourteen years - the toughest of acts to follow, it has to be said - and has masterminded the Club's round-robin novel The Sinking Admiral. His many friends and fans will be delighted by this latest recognition of his accomplishments. Just a year has passed since we lost Bob Adey, the world's leading authority on locked room mysteries and, more importantly, a lovely man. I thought that I'd remember Bob by focusing, today, and occasionally in the future, on a handful of books from his fantastic collection that I have been able to acquire from his estate. 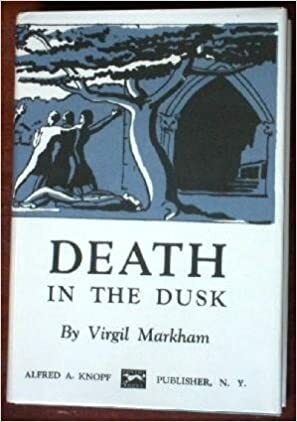 The first, unquestionably a Forgotten Book, is Death in the Dusk by Virgil Markham. This copy is a terrific one, because it's personally, and very nicely, inscribed by Markham: "For Winnie, who was in at the death". Someone, possibly Bob, has marked the book faintly in pencil to the effect that Winnie was the author's lover. I don't know about that, and I've no idea who Winnie was, but it's a great inscription, and a fascinating book. Talk about Grand Guignol! This novel is typical of so many Golden Age mysteries in that it was written by a young author who was full of zest. Markham was still in his twenties when he wrote it, and you can tell - because of the exuberance and the energy of the story-telling,as well as in a degree of naivete in terms of over-writing. This is not so much a locked room mystery as a story overloaded with apparent impossibilities, as Markahm piles on the atmospherics so heavily that it makes early John Dickson Carr look positively sedate by comparison. I'd like to wish all readers of my blog and my books a very happy - and healthy - 2016. Let's hope it's a year when good things far outweigh the bad. To get myself in the right sort of mood, I've already typed "Chapter One " today - the chapter heading rather than the whole chapter, I hasten to add! 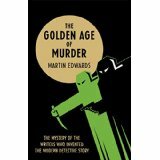 As well as managing to start the year without the faintest hint of a hangover, I've also been delighted to find The Golden Age of Murder named as book of the year on the widely read Random Jottings blog. After a flurry of brand new books in 2015, this year will be slightly quieter for me - but the key word there is "slightly". 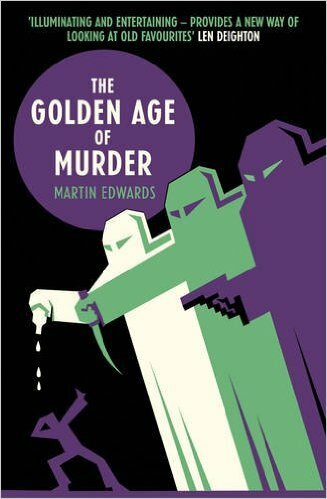 I'm already looking forward to paperback publication of a revised edition of The Golden Age of Murder (a first draft of the proposed cover is above) and of The Dungeon House. I'm also hoping for an ebook publication of a new collection of my short stories, but this has yet to be finalised. I'm now working on a couple of new books, but neither of these will achieve publication in 2016. However, I have also signed up with the British Library to compile no fewer than six new anthologies of classic crime stories, and three of these will appear this year. 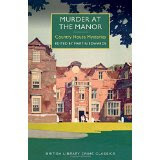 The first two will be Murder at the Manor - country house mysteries - and Serpents in Eden - countryside crimes. The third will be announced later n the year. .I've also reached agreement in principle for the British Library to publish something which, although short, is unusual and in the Golden Age vein- and, for me, rather exciting and unique. The details are being finalised, and I hope to say more about this before long. Harper Collins will publish The Sinking Admiral by "certain members of the Detection Club", including me. This collaborative novel, supervised by Simon Brett, has proved very enjoyable to create and it will also give a welcome boost to the Club's coffers. There may also be a further Detection Club project later in the year, if all goes according to plan. I've already written intros for a host of new entries in the British Library Crime Classics series, and there are some very good books to look our for. There will also be a reissue in the Collins Detective Story Club of an old Edgar Wallace for which I've written an intro. I'm hoping that this year will see the publication of Taking Detective Stories Seriously, the collected Sunday Times crime reviews of Dorothy L. Sayers, for which I've written a detailed commentary. The Dorothy L. Sayers Society is publishing this, and I must say the reviews are a mine of information. They are also very enjoyably written. It's going to be a busy year in terms of festivals - Crimefest, Malice Domestic, St Hilda's, The Bodies in the Library, Deal Noir, Essex Book Festival and Felixstowe Book Festival are already in the diary. I hope very much to meet some of you at one or another of those events. Last year, this blog sailed past the million pageview milestone, and your comments and emails continue to give me enormous pleasure - I'm truly grateful for your support. Writing is satisfying in itself, even if what one writes never sees the light of day, but there's something special about writing something that appeals to discerning readers.